Many of us have used collaborative agreements in our cases for many years, even though there was no law governing those cases in Maryland until this year. On October 1, 2014 the new Maryland statute governing collaborative law went into effect. Generally, the statute and proposed rules (Prop’d Rs. 17-501 to 17-507) promulgated under the Maryland Uniform Collaborative Law Act (§ 3-2001 et seq., Courts and Judicial Proceedings Article, Maryland Code) reflect the commonly understood principles of collaborative practice. Although I have only used collaborative agreements in my family law cases, the process could be effective in a wide range of cases including elder and disability law cases. 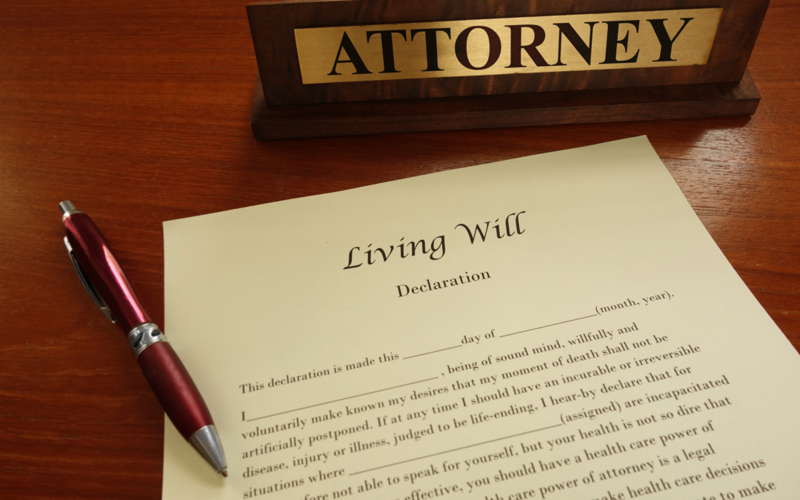 For example, in a contested will case, the process could be used when there are disputes among heirs and in guardianship cases when there are disputes among family members about who should be the guardian or about whether a guardian is needed. What makes Collaborative Law Different from Litigating Cases? The key requirements that make collaborative cases different from a straight litigation approach are a promise to freely and honestly share all documents and information without formal discovery and the requirement that the collaborative attorneys cannot represent the parties in court if an agreement cannot be reached through the collaborative process. The parties must enter into the collaborative process voluntarily. The parties and their collaborative attorneys must sign a written agreement that reflects their intention to resolve a dispute through the collaborative process, describes the dispute, and identifies their respective collaborative lawyers. If the parties do not resolve their entire dispute through the collaborative process, their collaborative attorneys cannot represent them in subsequent judicial proceedings. NOTE: The proposed rules would allow any party to the collaborative law process to file a motion for a court to order a collaborative attorney to withdraw his or her appearance. (Prop’d R. 17-505(c)). There are some special rules to address the situations of a government agency. See Prop’d R. 17-506(c). Can the Parties Elect to Use the Collaborative Law Process After a Case Has Already Been Filed in Court? Yes – The proposed Rules make clear that parties to an already filed court proceeding can elect to use the collaborative law process if it may be productive: “The parties to a pending court action may file a joint motion to stay court proceedings during a collaborative law process.” (Prop’d R. 17-504(a)). If the parties file such a motion, the court is generally required to grant it: “upon the filing of a joint motion by all parties, the court shall stay court proceedings for a reasonable period of time during the collaborative law process, unless the court finds the existence of extraordinary circumstances requiring denial of the motion.” (Prop’d R. 17-504(b)). Can the Parties Seek Court Approval of the Agreement or a Partial Agreement Reached During the Collaborative Law Process? Yes – The statute provides that parties can seek court approval of any settlement agreement, if necessary. § 3-2005, Courts and Judicial Proceedings Article, Maryland Code). But the Rules also provide for a collaborative process that doesn’t resolve all issues: “If a collaborative matter or other issue remains unresolved at the conclusion of a collaborative law process pertaining to an action pending in a court, a collaborative law attorney shall: (1) notify the court that the collaborative law process has terminated and, if a stay is in effect, request that it be lifted; (2) if the parties agreed to a resolution of any collaborative matter that requires court action for implementation of the parties’ agreement, request such action from the court; and (3) file a notice or a motion, as appropriate, to withdraw.” (Prop’d R. 17-505(b)). This provision would be effective for both family law and non-family law related litigation. What are the Benefits of the Collaborative Process to the Parties? In my experience, the collaborative law process greatly benefits all parties – it reduces the stress and the costs associated with litigation and typically results in a faster, better resolution of the matter. Each party treats the other with respect and dignity. There is also the potential to involve experts as truly neutral supports to the process, as opposed to hired guns. Collaboratively trained financial advisors and mental health professionals are often used in family law cases and could be equally helpful in other matters. Typically, both parties and their attorneys all meet together. If there are consultants, they are also involved as needed. For example, if the agenda for the meeting is financial planning, a CPA and/ or a retirement planning expert may participate as a neutral expert assisting both parties. In a contested guardianship case, a mental health professional such as a psychiatrist or a neuropsychologist may assist the parties to reach an agreement about whether a guardian is needed and, if so, what powers the guardian should have. In a 2004 article (“Collaborative Law in the World of Business,” Collaborative Review, Winter 2004, 2) David Hoffman notes that the collaborative law process originally developed among a group of divorce practitioners in Minnesota, and the methodology can be “particularly useful in resolving divorce cases.” However, Hoffman notes that collaborative law has been “slow to develop as a method for resolving tort cases, contract disputes, employment terminations, and partnership breakup[. ]” (Id.). Hoffman believes that collaborative law has been successful in the family law realm due to the complexity of issues to be resolved in divorce cases: “custody, visitation, asset division and debt allocation, alimony, child support, college expenses … life insurance, health insurance, taxes, estate planning, and more.” (Id. at 5). Cases involving so many complex issues “are good candidates for collaborative negotiation because they present opportunities for tradeoffs[. ]” (Id.). By way of contrast, he notes, non-family disputes “may boil down to a single question: Is the patent valid or not? Did the employer engage in discrimination or not? Was the roof defective or not?” (Id.) However, as Hoffman later notes, many non-family disputes may require a complex solution, with opportunities for trade-offs. Several authors have suggested that parties have incentives to employ a collaborative approach to non-family disputes from the start. Sherrie Abney addresses the significant discovery costs inherent in the litigation process. (Abney, Avoiding Litigation: A Guide to Civil Collaborative Law, 119-121). Disclosure of documents can require significant costs attached to the drafting of discovery requests, and the subsequent review of those documents. On top of that, Ms. Abney notes, “In a deposition with attorneys for three parties, their associates and paralegals and a court reporter, a three-day deposition can have a total cost of as much as $40,000 to $50,000.” (Id. at 119). Ms. Abney writes that, in many cases, these costs produce little useful evidence. Under the Maryland Uniform Collaborative Law Act, information must be disclosed on the request of a party, without a need for formal discovery procedures. Specifically, “a party shall . . . [o]n the request of another party, make timely, full, candid, and informal disclosure of information related to the collaborative matter without formal discovery” and also must update those disclosures as appropriate. (§ 3-2006, Courts and Judicial Proceedings Article, Maryland Code). Such a requirement would, as Ms. Abney notes, “all but eliminate discovery problems.” (Abney, 119). Similarly, Ms. Abney discusses the time commitments required by the litigation process, with the parties, their employees, and their paid experts spending days in trial that could otherwise be spent productively at work. In addition, she notes that these schedules are at the mercy of court dockets and attorneys’ calendars, and may arrive at inopportune moments on a business’s calendar. The collaborative approach, she writes, “places the parties in charge of scheduling the events of the process and alleviates the problems caused by arbitrarily scheduled hearings and depositions.” (Abney, 120). As a result, it may often make more sense for one party to file a complaint to initiate proceedings, and for the parties to then stay the proceedings under Proposed Rule 17-504 to attempt the collaborative process before returning to court to resolve any remaining issues. Many of these advantages were true before the Uniform Act was passed, and could also apply to mediation. It is my hope that this new law will move the collaborative process into the mainstream and make it more accessible to practitioners and, in turn, the public. In order for this expansion to happen, more attorneys and other practitioners need to be collaboratively trained. The Maryland Collaborative Practice Council (MCPC) is working on setting up more trainings in Maryland in 2015. MCPC is a not for profit association comprised of collaborative practice groups throughout Maryland. Its mission includes advancing the use of the collaborative process as a method of dispute resolution. Let’s use it. Conversely, the Uniform Act provides some relief which would likely only be applicable in family law disputes. The act allows a court – otherwise stayed from acting during the collaborative process – to “issue emergency orders to protect the health, safety, welfare, or interest” of a spouse, cohabitant, co-parent, child, relative by blood or marriage, or another vulnerable adult. (§§ 3-2001, 3-2004, Courts and Judicial Proceedings Article, Maryland Code). Does the respondent have a disability within the meaning of 13-201(standard for guardianship of the property) or 13-705 (standard for guardianship of the person), and are any less restrictive interventions available? In short, does the person need a guardian as the result of a disability? What powers should the guardian have? When the case is before a judge or jury the question of a person’s disability is a yes or no question: the court will either determine that a disability exists and the person needs a guardian, or the court will determine that there is no disability and no guardian is needed. Once a petition has been filed, the parties could file a joint motion to stay the proceedings so they could attempt to achieve a resolution through a collaborative approach. If the respondent is contesting the petition, he or she may agree to a different guardian or to a limited guardianship during the collaboration. The respondent may agree to accept supports that he or she has been refusing in the past. Those supports could be the less restrictive alternatives that obviate the necessity for a guardian to be appointed. The collaborative approach could offer a means of resolving differences the interested persons have about who should serve as guardian. If the interested persons are in agreement, the court will usually agree with their choice. If a disagreement about who should be appointed as the guardian arises after a proceeding has already started, the parties would need to file a Motion to Stay pursuant to Proposed Rule 17-504. They would then have the opportunity to initiate the collaborative process, and discuss who is best situated to ensure the safety of the disabled person and the preservation of the estate. If there are familial disagreements over who should serve as guardian, the collaborative process may be an effective means of resolving those disputes, and could provide a means of resolution short of “airing dirty laundry” before a judge. In addition, the collaborative process would provide a means for multiple parties – competing siblings, for example – to discuss which one is best able to care for a parent, and to discuss how to make that determination. If a collaborative approach is successful, the parties can return to court and ask the judge to accept their collaborative recommendation for guardian or, if the collaboration is particularly successful, the parties could withdraw the case if a less restrictive alternative has been found. If the collaborative approach is unsuccessful, they would need to return to court – with new attorneys – to resolve the issue of who should be appointed guardian and what powers the guardian should have.